On this day in history, December 9, 1775, an American victory at the Battle of Great Bridge sets the stage for the British abandonment of Virginia. 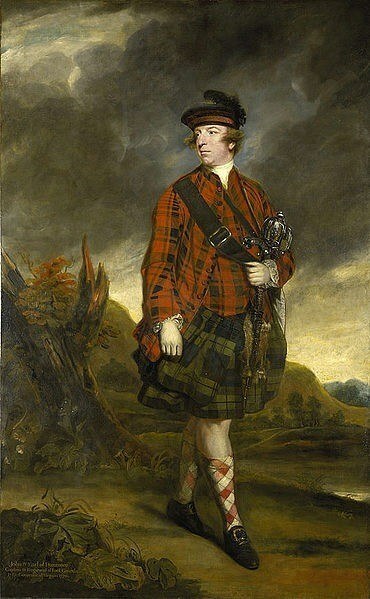 The Battle of Great Bridge was a decisive blow to the Royal Governor, John Murray, Lord Dunmore. The battle caused Dunmore to abandon Norfolk and seek refuge in a navy ship. After bombarding the city and a few more raids, Dunmore abandoned Virginia for New York, never to return. In April of 1775, at the same time the Revolutionary War broke out in Massachusetts, Lord Dunmore ordered the confiscation of the gunpowder supply at Williamsburg, Virginia. The act alarmed the colonists, who began to rise up against him. Lord Dunmore began to fear for his safety, left Williamsburg and moved his family on to a Royal Navy ship at Norfolk. Skirmishes continued for the next several months, escalating when a British ship ran aground and was captured, causing the death of several sailors in the fight. Dunmore issued a proclamation declaring martial law and began to fortify Norfolk as his last stronghold. 9 miles south of town, at a small village called Great Bridge, he had a small fort set up to guard the only approach south of Norfolk. The fort was on the north side of a small bridge on a road running through a swamp. 500 men from Virginia's 2nd Regiment took positions on the south side of the bridge on December 2. Over the next few days, their numbers swelled to almost 900. The British garrison had less than a hundred men. Upon learning of the situation, Dunmore decided to send a few hundred reinforcements and attack the Americans first. Early on the morning of December 9, the attack began. Dunmore had unfortunately been misinformed, however. His best intelligence estimated the rebel camp numbers at no more than 400 men. The overwhelming superiority of the Americans' numbers led to a rout. The British lost over a hundred men killed or wounded, while there was only one American injured. Lord Dunmore's forces retreated to Norfolk. Alarm struck the town as the patriots' numbers continued to swell, causing Dunmore and most of the Loyalists in town to flee to the ships in the harbor. Norfolk was occupied by the Continental Army and the royal navy ships maneuvered into a threatening position, causing much of the rest of the town to evacuate. On January 1, the ships began bombarding the town for nearly a whole day. The patriot forces began looting and destroying much of the Tory owned property in town. Within a few days, most of Norfolk had burned to the ground. Lord Dunmore decided to withdraw, but continued making raids on shore for supplies. In February, he was able to occupy Portsmouth to try to reestablish a base of operations, but was driven back to the ships in March by General Charles Lee. After a few more raids over the next few months and living on a ship for months on end, Lord Dunmore finally gave up and abandoned Virginia in August. He sailed for New York, the royal government never to be seen again in Virginia.